Currently sitting at the summit of the UK Top 40 album charts is this extraordinary album which I, together with a considerable proportion of the population have been listening to over the last couple of weeks. 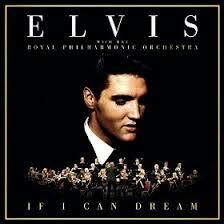 Extraordinary, in terms of remit as this resurrects Elvis, nearly 40 years dead, with new orchestral arrangements of fourteen of his songs and extraordinary in terms of achievement as his 12th number 1 album cements his position as the biggest male solo artist, bringing him level with Madonna and three behind the Beatles. Extraordinary also in terms of longevity, it is now 59 years since his first number 1 album. Is it, however, extraordinary in terms of musical content? This is what I wanted to find out…..
I’ve never been a big Elvis fan. I think the timing was wrong. My parents favoured the music of the 40’s and were busy bringing up children so they missed out on the rock and roll era. 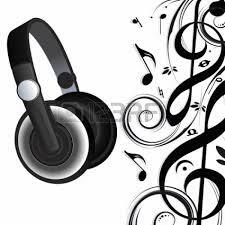 My sisters and I began our record buying in the 60’s and favoured the British sounds and Motown singles that were dominating the charts. As a result I didn’t grow up around Elvis’ music, so do not have the lifelong devotion towards him shared by those slightly older and younger than me. By the time Elvis died I was in those sneering early teenage years when everything had to be cool and relevant and I didn’t perceive Elvis to be either. I also thought he was elderly – which seems an extraordinary thing to think of someone of 42, but that’s the weird time perception of youth. My sole memory of the music of Elvis is a copy of his sheet music for 1969’s “In The Ghetto” which was bought by my oldest sister in her hippy phase which involved walking around with a guitar strapped to her back. We did use to have to listen to her version of this song, which involved her singing it whilst doing the odd bit of chordless strumming. I can still hear her drama-laden vibrant strum between the “In The Ghetto” and “as her young man dies”. In fact I hear it even when it’s not on Elvis’ version. 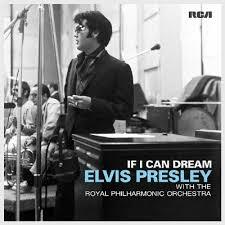 I hear it on the version of this CD with the Royal Philharmonic accompanying his vocals, so imprinted is it on my memory. It did teach me I never wanted to play the guitar and when it was no longer such a fashion accessory my sister quietly abandoned it too, although the sheet music hung around for some years “just in case”. There is obviously the market there and this just cannot be diehard Elvis collectors putting it up there amongst the big sellers of the year. These are people rediscovering or even finding Elvis for the first time and choosing to purchase these orchestral versions. With Classic FM being the fastest growing radio station in the country perhaps we’ve got more used to listening to orchestral music and so this whole concept it appealing to the pop, rock, casual music listener and classical music fan. If this is so, then it is a stroke of marketing genius. But is it any good? First of all it would depend on how you view the whole concept of remaking a dead artist’s back catalogue. It would also depend on how you would view an orchestra being introduced onto some tracks where an orchestra hadn’t been before. In the old days it was called “sweetening” and it was often the difference between an R&B track and an artist like Pat Boone’s cover of the same track, which was “sweetened” by lush strings and choral voices. If you can remember the difference between Fats Domino’s version of “Aint That A Shame” and Boone’s chart-topping cover you might feel wary of tracks like “Steamroller Blues” which I am sure would not have had an orchestral feel. It would also depend on how you feel about the pairing of the dead with the living. This was a technique which was eerie and sublime when Natalie Cole did it with her father but has been over-used of late to become somewhat macabre- Barry Manilow in 2014 put out “My Dream Duets” – a whole album dedicated to such pairings which felt, ultimately, disturbing. On this CD it’s used for just one track as Michael Bublé “duets” with The King on “Fever”. So what was I imagining before the first listen? Big arrangements, lush orchestrations. A couple of the songs have big sounds already – “You’ve Lost That Loving Feeling” and “American Trilogy” for example. I imagined that these new versions would see them soaring into the stratosphere. On the whole, that doesn’t really happen. A couple of the songs you would need to know quite well to perceive much difference from the original. The most successful of the musical marriages between these unlikely partners is for me the first track “Burning Love”. A neo-classical introduction opens this brilliantly before Elvis’ familiar vocal kicks in. This has a really big sound with cascading, soaring strings and the driving rhythms of the original. This could be a hit single over again and may just be an improvement on the 1972 UK#7, US#2 hit. I did think if the rest of the album kept up this standard it would be a thrilling proposition. We in Europe do not mind a bit of meddling with our Elvis – witness his 18th number 1 UK single “A Little Less Conversation” from 2002 originally recorded for a 1968 movie and re-mixed in a pairing with Dutch DJ JXL which turned a pacy lesser-known rocking song into a dance track. I also really like a couple of the other tracks- “Love Me Tender” once again has a beautiful introduction and the arrangement enhances the inherent simplicity of this song, although maybe I’m just getting slushy and sentimental and would now favour this in its original version. I’ve always felt it’s dragged a bit as a song but the orchestra seems to flesh it out a bit and because of that it works. It’s also a big thumbs-up for a song I was not at all familiar with “And The Grass Won’t Pay No Mind”, an early Neil Diamond song which is lovely. “Fever” will please the legions of Bublé fans, although maybe I’ve heard too many versions of this song. I do think the choice of songs is quite clever, there’s no meddling with the rock and roll classics, it’s either the ballads or later tracks. Some are less familiar (“Steam Roller Blues”) and some (“Bridge Over Troubled Water” “How Great Thou Art”) are songs that could take the additional orchestrations. I do think, overall, the new arrangements are more subtle than I was expecting them to be. Is that a good thing? Not absolutely sure…..
Of course, there can be no real changes to tempo without affecting the voice and it is the original vocal tracks that are being used. Occasionally living artists have gone down the orchestral path – apparently Sting and Elvis Costello have both dabbled with this but then they, being living, are able to adjust their vocal performances. This is perhaps best illustrated by Chaka Khan whose vocals on her 2004 album “Classikhan” with the London Symphony Orchestra were performed with such gusto that it would have had the percussion players weeping in submission! The team working with this project would not have had that luxury. So is the project a success? Well, it had me listening to and enjoying an Elvis Presley album, which is not something I would have often done. The fans on Amazon are certainly giving it the thumbs up with 314 out of 366 of current reviewers giving it 5 stars and only 19 not on board with the project rating it 1 or 2 stars. The new versions of the more well-known tracks are unlikely to supercede the originals (although “Burning Love” certainly does it for me) but the balance of these with lesser known and good solid songs ripe for extra orchestration makes the whole thing highly worthwhile and the words “cheap” and “cash-in” never entered my head. I think I agree with Priscilla Presley. This is a respectful, well-executed project which is deservedly going to be in a lot of people’s Christmas stockings this year. “If I Can Dream” is released on RCA records and is currently available in the UK on Amazon from £9.99 and as a download for £8.09. It is also available to stream on Spotify. The US version is released on Legacy with a moody black and white cover (seen above) and can be purchased from $10.99.